Aside from the beach, nothing says “summertime” and “American” more than a game of baseball, complete with hot dog, iced beverage, bleachers, and the elusive foul ball dropping into the stands. Our local Minor League team has great promotions all summer that include regular fireworks, $1 hot dog night, bring-your-dog night, and many more. AND, they sponsor their own summer reading challenge which results in … you guessed it… free tickets to the games! Let’s play ball! 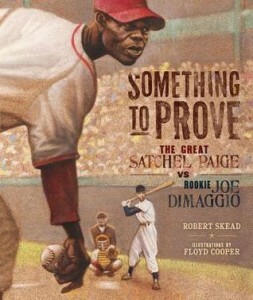 Satchel Paige Don’t Look Back by David A. Adler and illustrated by Terry Widener (Harcourt, 2007). A Satchel Paige biography (as opposed to the one-time event book just listed) by prolific picture book biographer David Adler, this is perfect for young baseball fans who want to know more (Recommended for kindergarten and up). The Dog That Pitched a No-Hitter by Matt Christopher and illustrated by Daniel Vasconcellos (Little, Brown, 1988). Have a young boy who’s just started reading independently and loves sports? 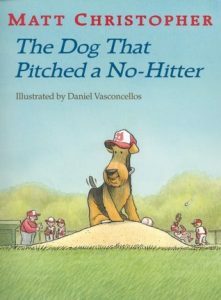 This is a great little series about a boy who can communicate with his dog telepathically, and his dog just so happens to be great at sports. A couple of volumes are about baseball. You’ll find it in the juvenile shelves, not the easy reader section. (Recommended for ages 4 and up; target age is probably 6-9). 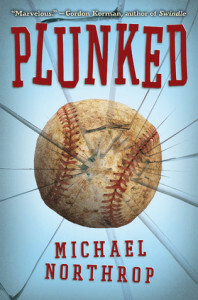 Plunked by Michael Northrop (Scholastic, 2012). Sometimes, you just want to quit, to not persevere through something hard, to not face your fears. This is just what 12-year-old Jack faces in Plunked after he gets hit with a baseball. And yet, he’s grown up playing baseball, and he’s a starter this year. A solid story of a boy who learns to hang in there and get back in the game. (Recommended for ages 9 and up, although it is accessible for strong, younger readers). 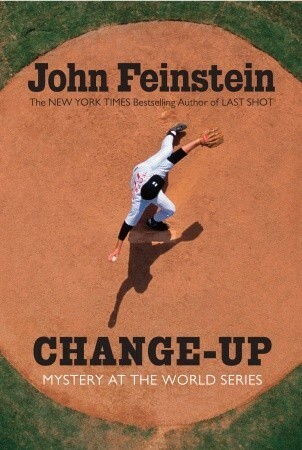 Change-Up: Mystery at the World Series by John Feinstein (Knopf, 2009). I really enjoyed Feinstein’s Rush for the Gold last year and was glad he had a baseball book for me to recommend! Feinstein can create a great mystery, but he also shows some interesting behind-the-scenes action for major sporting events in his Final Four Mysteries. The two main characters are high school reporters (Stevie and Susan Carol). Feinstein’s books are clean and offer adventure, sports, mystery, a *touch* of romance, and a great read. 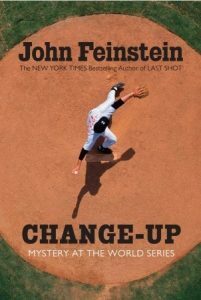 They tackle some interesting ethical questions in Change-Up, such as when to report an interesting story, and when to simply sit on it for the good of the man in question. 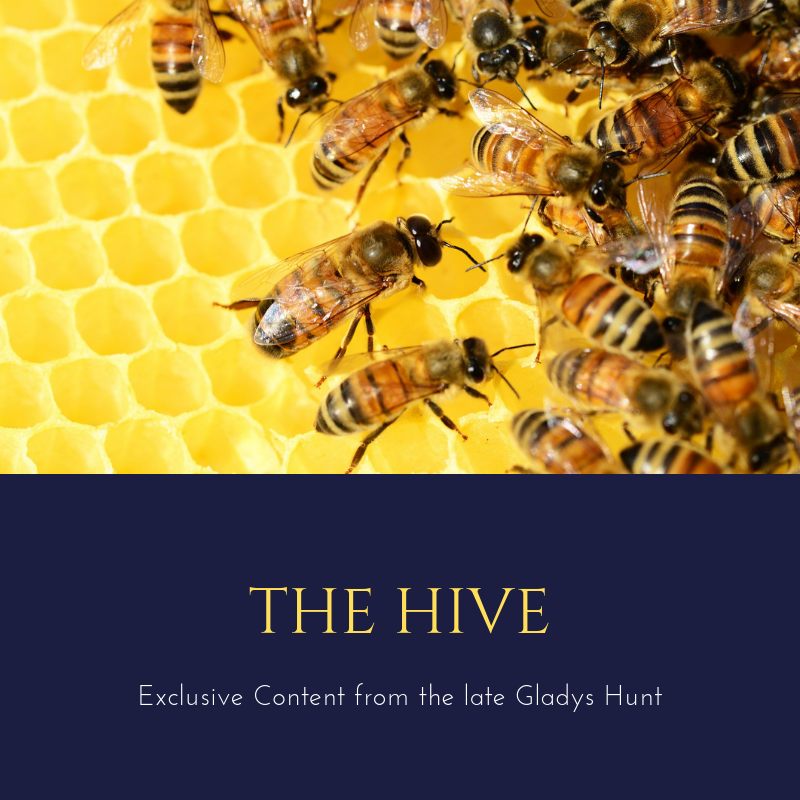 (Recommended for ages 12 and up, although it is accessible to younger readers as well). What are YOUR favorite baseball-themed books? Does your family enjoy heading to the ballpark? 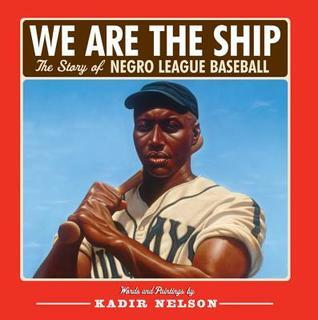 For more books on baseball, check out the 736.3 section of your library’s Dewey shelves (other sports are also in the 790s). For other sports books reviewed here on Redeemed Reader, check out Emily’s round-up of hopeful sports books, Janie’s recent Final Four (plus one) lineup, gymnast Gabby Douglas’s autobiography, Janie’s review of Unstoppable, and Janie’s round-up of some football books. Book cover images thanks to goodreads; ARC of Something to Prove thanks to publisher via netgalley; other books from my local library. One of our favorites is Bats at the Ball Game by Brian Lies. We currently have Casey at the Bat, illustrated by Christopher Bing (a Caldecott honor book) our from the library and our almost 6 yo son is enjoying it. We found a You Tube video of James Earl Jones reciting the poem that was a fun bonus! Thanks for the Matt Tavares title, Amy–I’ll have to check that one out! And, Cathy, I can’t believe I left out Bats at the Ballgame!! I love that book. I guess I was in the zone of “real” baseball. 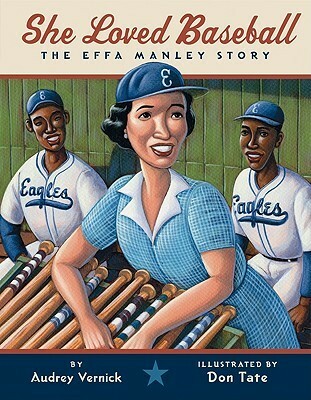 Bats at the Ballgame is a perfect summer book.